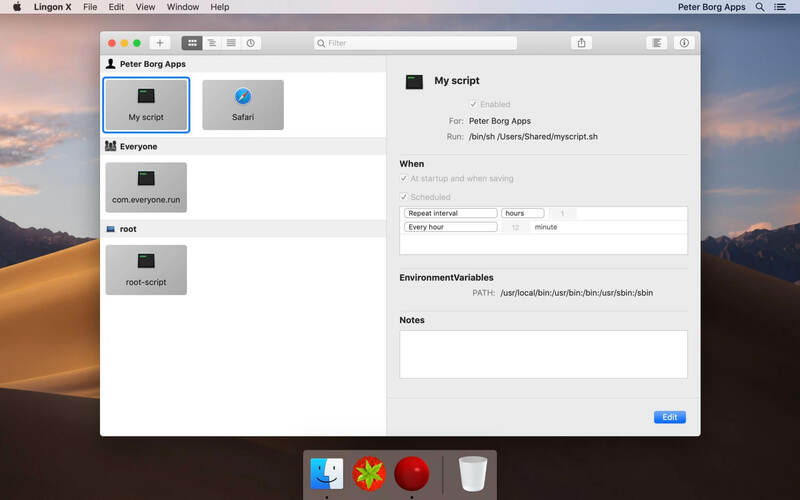 Lingon X 6.4 – Run applications and scripts automatically. Earlier versions of Lingon X are still available to work with macOS from 10.8. And a license bought today can be used with both Lingon X 6 and Lingon X 5. Next story xScope 4.3.3 – Onscreen graphic measurement tools. Previous story Microsoft Office 2016 16.16.3 – Popular productivity suite. Mavericks Cache Cleaner 8.0.2 – Clear caches, access hidden OS X settings, and more. MainMenu Pro 3.2.1 – Accelerate and improve your Mac’s performance.